A crowd of about 50 people turned up to hear VicForests’ plan for the failed coup. 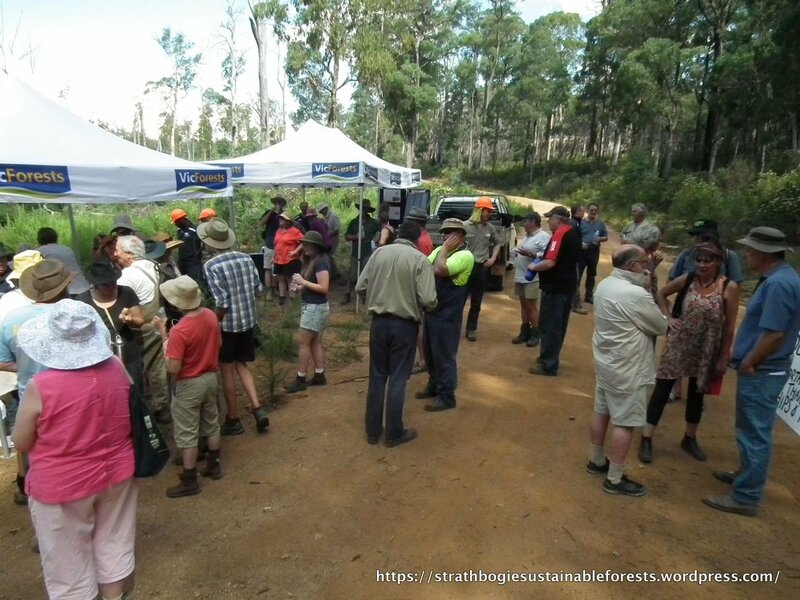 Last Sunday VicForests held an ‘open house’ out in the Strathbogie forest, to explain to the local community, their plans for rehabilitating the failed coup. In case you’ve forgotten what it looks like, here’s a reminder – almost nine years after being harvested, the coup is a disgrace – the forest isn’t regenerating and weeds and rabbits proliferate! 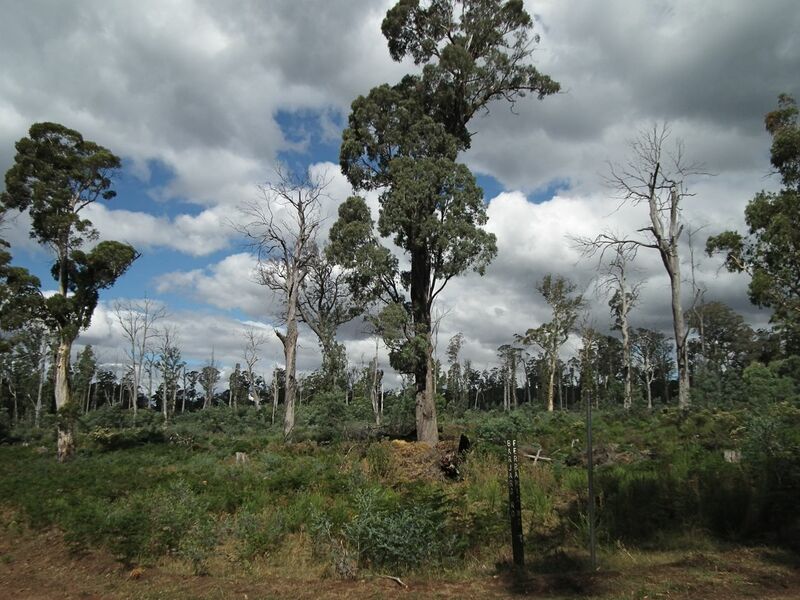 In spite of several attempts by VicForests to get eucalypts to grow (eg. aerial seeding and a ‘regeneration burn’), all that’s come up is a sea of wattles and dogwood. The main consequence of the regeneration burn appears to have been to kill most of the big, old trees that weren’t cut down – so-called habitat trees. There are a few patches of young trees that have managed to grow, but they are the exception. And now, any palatable seedling that pops it’s head up is quickly nibbled off by the plentiful Swamp Wallabies and Rabbits. Looking across the coup from cnr Barjarg Rd & Ferraris Rd. Most of the standing dead trees will collapse in the next 10 to 20 years.